This PRICE ALSO INCLUDES FREE FREIGHT (saving you even more). 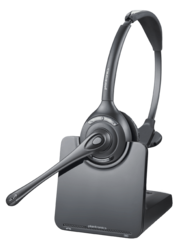 The Plantronics CS510 wireless headset is a durable over-the-head (for enhanced stability) single ear headset. The battery provides up to 9 hours talk time - longer than other "lightweight" headsets. Look great, sound great and feel great wearing this robust wireless headset - with normal handling it will last longer than slimmer lighter headsets. 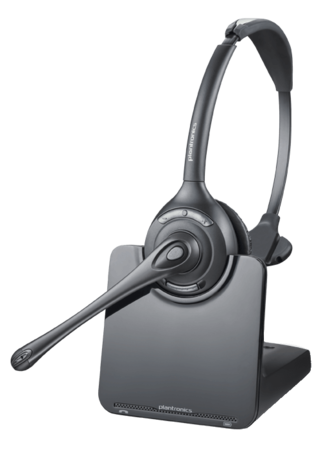 Plantronics best selling wireless office headset system is sleeker, better performing and as reliable as ever. 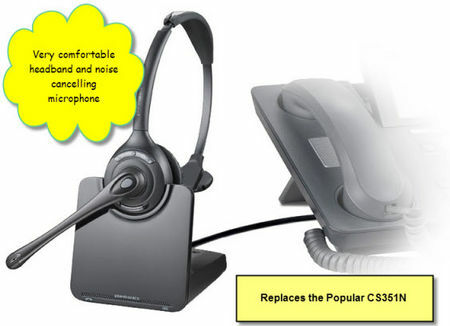 Plantronics CS510 headset is setting a new standard for wireless desk phone communications. For more information, see Plantronics CS510 Data Sheet. Note: The way to identify this headset is to look under the base - you should find "plantronics C052A"